Chris works with clients on Energy Strategy and Heat Networks from planning to operation. He has an extensive understanding of construction methodologies, building services engineering, and the application of low carbon technologies. He specialises in working with clients on the commercial and technical aspects of district heating systems and low carbon energy strategies. 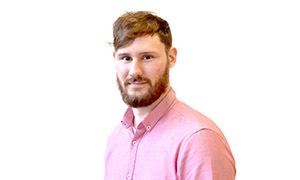 Chris joined the practice in 2017 with previous experience working for a housing developer delivering energy efficiency and assessment projects across the South East and Central London, as well as carrying out energy management audits and reporting under ESOS. As a member of the Heat Networks Team, he is responsible for the provision of technical and commercial heat networks projects including feasibility & design reviews, CEM & ESCo contracting services along financial and tariff modelling. Chris is currently working towards a MSc in Building Services Engineering and writing his dissertation on the “Barriers to the electrification of UK Heat Networks and the operational costs associated with Low Carbon District Energy”. He is currently a full member of the Energy Institute (MEI) working towards achieving CEng status in 2019.